Adult ticket includes a take home Golding Spiegelau glass, first wine pour & serve of pizza or paella. Kids meals available to purchase on the day. Vegetarian, Vegan & Gluten Free options available. 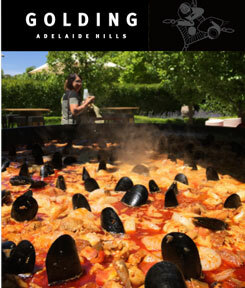 Please contact Golding Wines on 8389 5120 for table reservations for groups of 15 or more only.